FAIRFAX School in Sutton Coldfield has performed exceptionally well in national results tables released by the Department for Education on 12th October 2017; with record results in Government education performance measures including Progress 8, Attainment 8 and students achieving English Baccalaureate (EBacc). The Government believes such measures encourage schools to offer a broad and balanced curriculum, whilst also better illustrating how far students have progressed from the age of 11 to 18. Progress 8 and Attainment 8 scores measure students’ progress and performance across eight subjects, including English, maths, three English Baccalaureate (EBacc) qualifications including sciences, computer science, history, geography and languages, and the other approved qualifications. Fairfax School, run by Fairfax Multi-Academy Trust, achieved a positive Progress 8 score of 0.29, placing it amongst the highest-ranking schools in Birmingham. This means that students at Fairfax performed one-third of a grade better across each of their GCSE subjects than students of a similar ability nationally. This performance is considered to be ‘above average’ by the Department for Education. Deborah Bunn, Head of Academy, said: “We’re delighted with the progress 8 score that we have achieved this year. 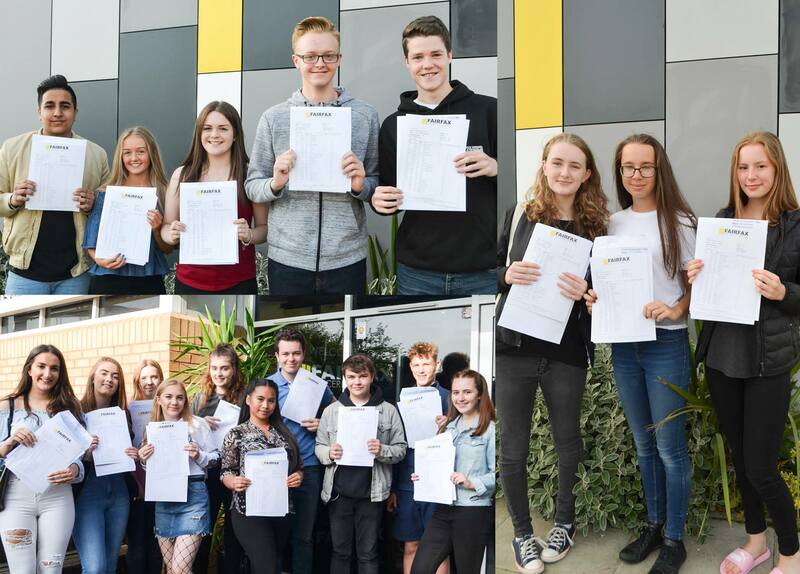 “We are particularly proud to have achieved record EBacc results this year with 45% of students achieving the EBacc and a progress score of 0.37. “We are also celebrating a progress score of 0.48 in Mathematics and 0.28 in English. Andy Bird, CEO at Fairfax Multi-Academy Trust, said: “It is a real credit to Deborah Bunn’s strong and passionate leadership that Fairfax School has achieved these strong results. “The Trust is relentless in its focus to drive up standards and instil a real sense of ambition in all of our students. Fairfax School’s Attainment 8 score was 51.3 points, 7.1 points higher than England’s average of 44.2 points. Meanwhile, the results reveal 77 per cent of Fairfax School students achieved Grade 4 or above in English and maths GCSE, 18.5 per cent higher than the 58.5 per cent England average. The EBacc was first introduced into the performance tables in 2009/10 and is made up of English, maths, science, a language, and history or geography. For a student to achieve the EBacc they must have gained a Grade 4/C grade or above in all five of those GCSE subjects.